There are a few things in this world I’ve always wanted to do. For the longest time, I’ve wanted to visit the magical town of Tulum, but it never quite happens. I wish I knew more about astrology, but it seems like there are always more pressing matters at hand. Ever since I started working for myself, I’ve dreamed of going on a tropical retreat, to do yoga and be sublimely relaxed, but it seems to evade me. That’s why I almost exploded with joy when I heard about the AstroTwins’ Become Your Own Astrologer retreat in April 2015. Tulum? CHECK. Daily astrology classes? CHECK. Yoga, relaxation, and divine reconnection? CHA-YECK! I am GOING. I am going to take a beautiful break from the craziness of NYC and the hustle and bustle of my everyday life. I am making my health and happiness a priority. I’m can’t wait to get there… And I think you should join me! 7 days and 6 nights staying in a fantastic cabana on the beach in Tulum, listening to the waves from your bed, eating delicious food, swimming in crystal clear blue water, and learning about astrology at the same time… How could it be any more perfect? The AstroTwins are good friends of mine, and they run AstroStyle, one of the biggest astrology sites ever. Ophira and Tali write horoscopes for Elle, have a web series on Refinery 29, have written stacks of books, and — perhaps most crucially — are two of the friendliest, most lovely women ever. They’re known for “bringing the stars down to earth” and that’s exactly what they do, by making astrology easy to understand, fun, and super-relatable. I love the structure of the Be Your Own Astrologer retreat, because it’s really relaxed. (Who wants to be overly-scheduled? You’re on HOLIDAY, for crying out loud!) If you’re curious, here’s absolutely everything you need to know about the workshop, and this is the daily schedule. Put simply, you have around two hours of astrological study every morning, where you’ll be learning about your own chart, life purpose, money and career, love and relationships, compatibility, and “divine timing” (love that!). The afternoons and evenings are free to do whatever you want. Yoga? Snorkelling? Massage? Exploring the Mayan ruins?! Personally, I’m excited to do all of the above, plus check out Coqui Coqui (and their amazing spa), buy some bright dresses, eat amazing food, meditate on the beach, and just BE. God, that sounds so good. Want to join us? Earlybird registration is $2900, there’s a payment plan available, and it will be SO worth it. Included in the price of the retreat: daily astrology classes, room and board, three meals a day (with vegan, gluten-free and dairy-free options), an Aries moon ceremony, creation of a group altar, a detoxifying Mayan clay treatment on the beach, evening movement classes (like yoga or Qoya dance), paddleboards, fresh drinking water, shuttles to and from the airport, and wifi (ding ding ding!). My magical friend Kitty Cavalier will be teaching 2 Qoya classes and a sacred sensuality workshop, too. Gosh! Talk about spoiled! And in addition to all that, I’m going to lead a very special Radical Self Love circle! Get ready to shift your energy, leave behind what you no longer need, and draw in magic and positivity! 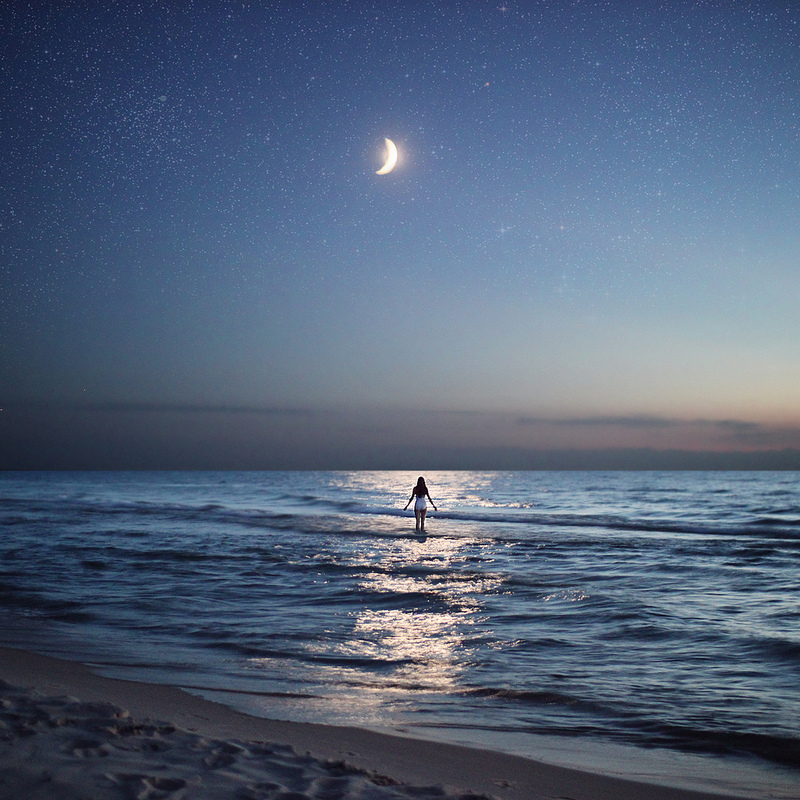 A moonlit ritual on the beach… It simply does not get any better than that, my friend! It is going to be a DREAM COME TRUE, you guys. I always talk about how desperately I need a break. Taking a rest is so essential for our creativity, our soul, and our sanity, and yet, I never get around to doing it. This is my chance… And it’s your chance too. What could be better than a jaunt to Mexico in the springtime?! I’m already counting down the days! P.S. Need more motivation to book a flight? 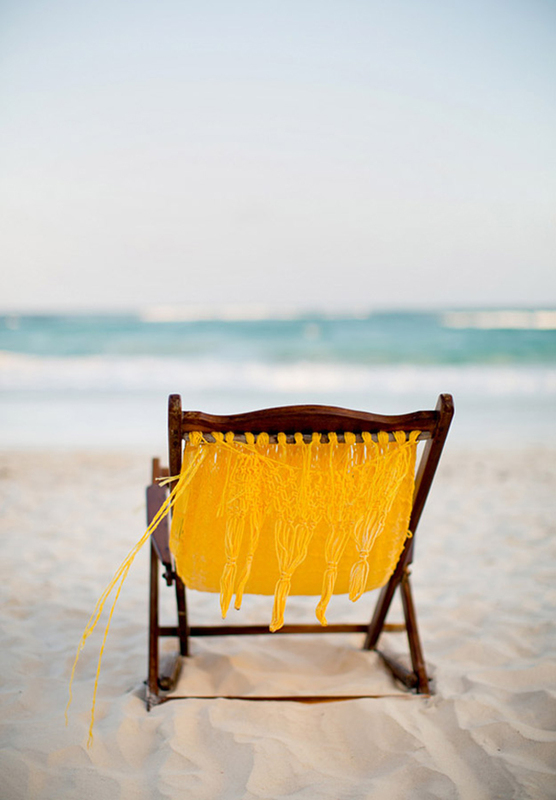 Have a look at 36 Hours In Tulum from the New York Times. DROOL. See you there! Top image by Katie Leighton. Chair photo from A House In The Hills. Beach photo courtesy of Shambala Petit Hotel.